There are a lot of great things about getting older — you’re totally killing it at your job thanks to years of experience, you can eat whatever the heck you want for dinner (we’re looking at you, ice cream! ), and you’ve got enough money saved up to travel to some seriously cool places. But you might be feeling that one downside to aging is the way your skin has changed over the years. It’s just not as perky or tight as it used to be — because unless you’re the Wicked Witch of the West, you can’t defy gravity. 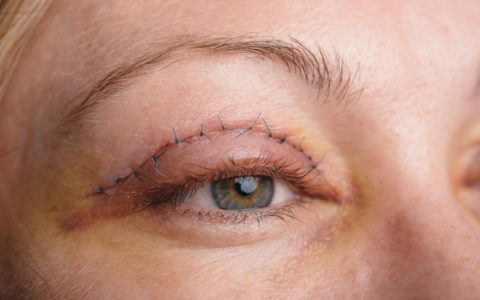 If this is something that really bothers you, you may have even looked into cosmetic procedures — but undergoing surgery (especially one that’s not medically necessary) might not exactly appeal to you. Enter Ultherapy, aka a non-surgical facelift. Ultherapy is an FDA-cleared, non-invasive procedure that lifts and tightens the skin on your neck, under your chin, and on your eyebrow. It’s also FDA-cleared to smooth lines and wrinkles on your upper torso (i.e. your neck, shoulders, back, and upper chest). If your eyebrows have lowered, you’ve got loose neck skin, a saggy chin, or wrinkles on your neck and chest, Ultherapy could be worth a shot. Hm, intriguing! How does Ultherapy work, though? 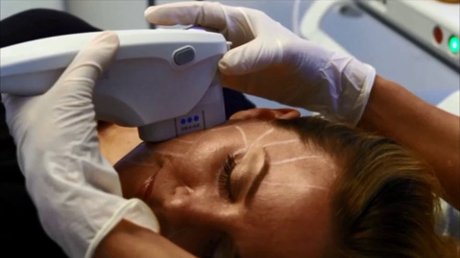 Ultherapy uses ultrasound energy to treat our skin tissue deep beneath the surface. The energy sent to skin tissue during an Ultherapy treatment session is at just the right temperature to prompt the stimulation of collagen. The Ultherapy device is different from lasers and surgery because it totally skips over the surface of your skin and delivers ultrasound energy right where it needs to be in order to stimulate collagen. Okay, back up a sec. I’ve heard a lot about collagen… Why is it important again? ICYMI, collagen is, in essence, the building block of healthy, youthful skin. More scientifically, it’s the main protein found in skin, meaning it’s what gives skin its structure. As you age, collagen production slows way down, which is what allows wrinkles and loss of firmness to make their presence known. That’s why finding a way to force your skin produce new collagen is so important — and what could have a positive impact. So what can I expect from an ultherapy treatment? We know, we’ve told you a lot about how Ultherapy works, but now it’s time to get into the nitty-gritty of what a session is actually like. 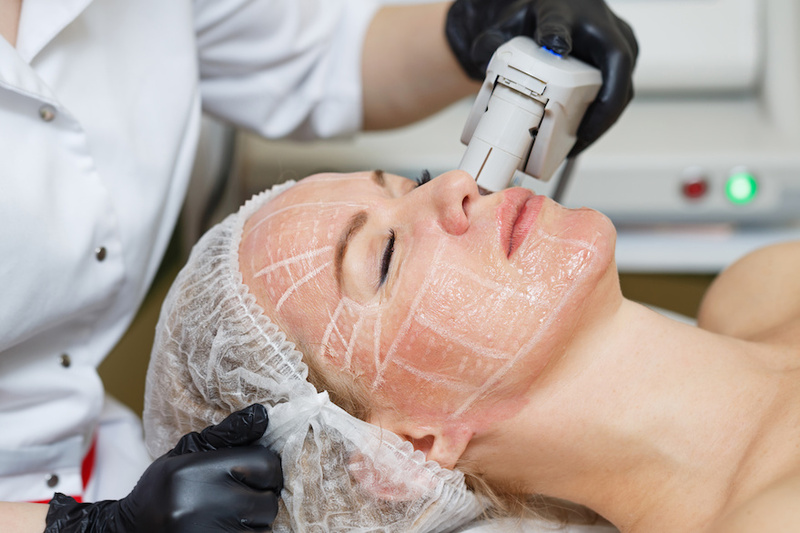 Before having any work done, you should book a consultation with a board-certified doctor and Ultherapy provider. They’re the only ones who can take a look at your skin to see if you’re actually a candidate for the treatment. Once that’s settled, you’re ready to schedule a session. Your doc will start by cleansing your skin and looking it over to determine where, exactly, you’d need targeted treatment. (If you’re worried about pain, ask about topical or local anesthesia, as these may be options.) Then, they’ll smooth ultrasound gel over the areas and place the Ultherapy applicator device against your skin. They’ll use ultrasound imaging to view the deep layers of your skin — this will help them decide where to send the ultrasound energy. Once the treatment starts, you may feel mild discomfort as the ultrasound energy is being deposited deep within your skin. One session typically lasts 60-90 minutes. What happens once my treatment is over? There’s virtually no downtime, so you can go about your business as soon as your doc is done. 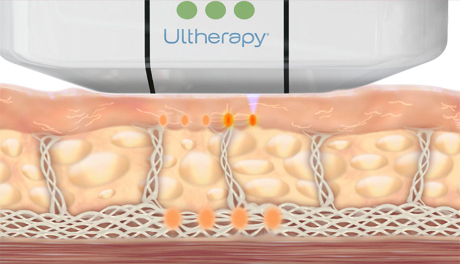 That said, once your Ultherapy session is over, you may experience flushed skin for the first few hours. You might even notice swelling, tingling, or tenderness, but these side effects are all temporary. How much will an Ultherapy session set me back? This answer mostly depends on where you live – in big cities like New York, it could cost upwards of $5000 — whereas in other parts of the country it’s closer to $2500 or $3000. Smaller areas cost less, and different providers will charge differently based on their experience and location. What I really want to know is… when will I see results?! You’ll likely start seeing the lifting and tightening effect over the course of two or three months. While Ultherapy stimulates new collagen production deep inside your skin, ultimately, your body’s natural aging process is what determines how long the results will be visible. For some, one treatment is enough, but you may need touchups in the future, as your skin will continue to age. Can Ultherapy really replace a facelift? The bottom line: Ultherapy isn’t going to give you quite the same results as a traditional surgical facelift would. 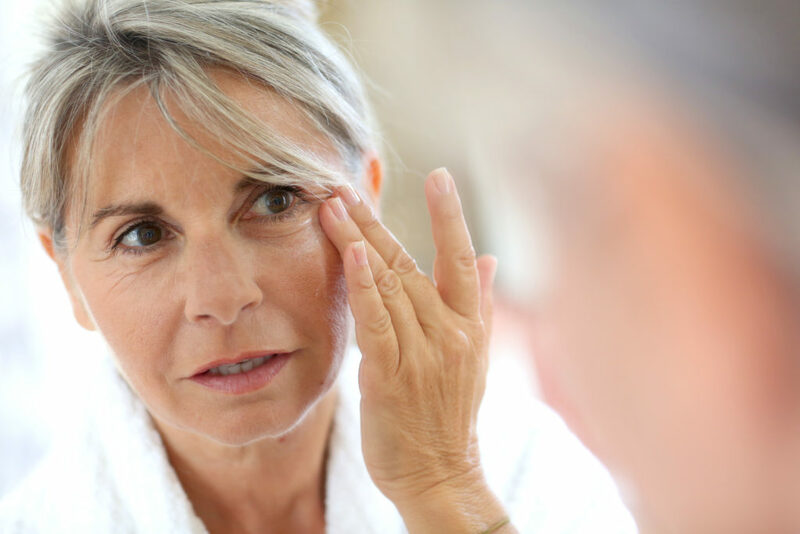 That being said, if you’re not feeling going under the knife, Ultherapy could be a suitable alternative, as it offers natural-looking results that can give you a younger look. I am from kashmir and my name is shah Hilal ,i have melasma and my face have dark patches on my face and i have gone to all dermatologists but nothing happened to me and i also applied all creams and ointments but sign of improvement to my face so i request u Dr Sandra lee aka suggest me some medicine for this that will be ur most kindness. 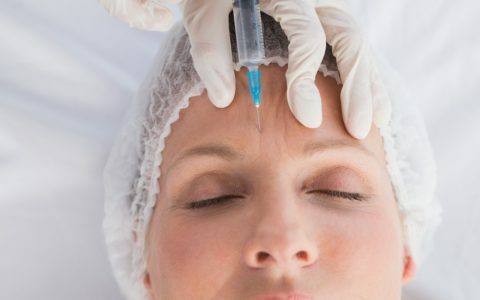 Botox vs. Fillers: What’s the Difference?